Typically a cliche saying, Disability Rights Advocate Shira Strongin completely embodies the phrase “one in a million”. A truly one in a million combination of gene mutations led to an avalanche of symptoms and diagnoses for Shira, whose conditions predominantly onset directly before her 10th birthday. Where many would balk at this statistical improbability, Shira has turned it into a motivator and a positive force in her life. At age 11, Shira launched a blog where she chronicled her experiences with her illnesses under the anonymous pen name, “Sick Chick”. Due to the popularity of blogs in 2010 — when it was launched — the blog quickly gained momentum, and it was picked up by an East Coast-based non profit the following year. Although she would not “come out” as disabled until age 15 and remained anonymous as “Sick Chick” until 2015, Shira attended her first lobby day at age 13 and began to speak at conferences. She believes that her first lobby day was what really sparked her passion for advocacy as she realized that the future lies in legislative activism. Since then, Shira has become a strong voice in healthcare and overall disability advocacy — particularly from the feminist perspective. Stepping out from behind the curtain of her pen name in 2015, “Sick Chick” expanded into “Sick Chicks”, an empowerment site and community for those who identify as young women with chronic illnesses. The site has since launched an ambassador program, and at the beginning of this year (2018), the organization acquired 501c3 status. Shira explained that ultimately, she hopes to continue to create an open, accepting environment where women and girls do not just accept their illnesses, but empower themselves through their experiences. 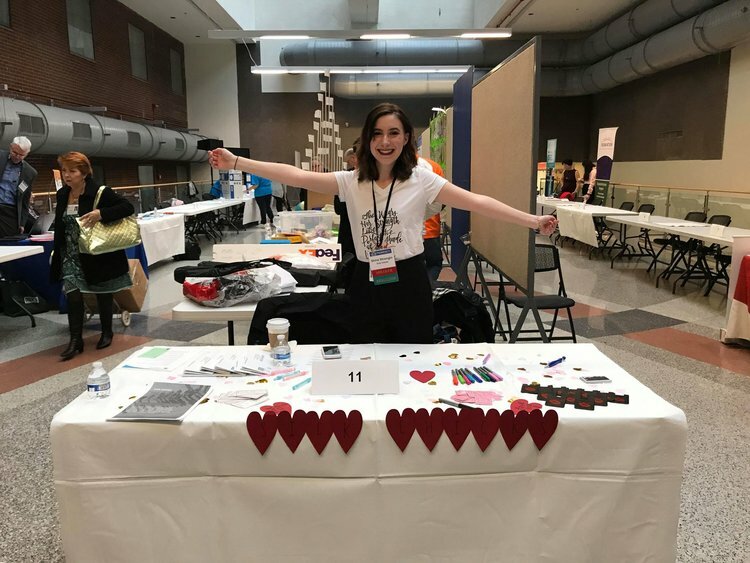 From February 26 to March 2, 2018, Shira continued her fight for empowerment at Rare Disease Week in Washington, D.C. Through the program Rare Disease Legislative Advocates, she was able to project her voice to others in her situation and to lawmakers drafting legislation surrounding rare disease. She shared that one of the most important parts of this opportunity was the ability to project her voice as a woman with a disability; this combination presents its own challenges as women are less likely to have their pain taken seriously than men and it often is a battle to receive reproductive care. Shira aims to advocate for not only the disability community, but also women with disabilities in particular as she has experienced many of these challenges firsthand. Through her continued advocacy for legislation for rare disease, she was an avid lobbyist for the 21st Century Cures Act, which was passed in December 2016 by the United States Congress. This bill awarded large amounts of funding to the National Institutes of Health and other organizations to encourage them to find cures and treatments for rare diseases. While Shira explained that the bill has not received the funding promised thus far, she still feels very passionately about this legislation. “I can’t find the words to express how much Cures Now means to me,” she said. Being only a freshman in college, Strongin is extremely hopeful for the future of healthcare and hopes to continue to empower women with disabilities for years to come. Next on her agenda will be adding a scholarship fund to Sick Chicks available to Sick Chicks Sisters as she explained that it was difficult to find funding for her college experience; although she did receive some merit-based aid for her schooling, she has seen that many Sick Chicks do not qualify for merit or sports scholarships — the two most prevalent types of scholarships — and hopes to change this in the future. Ultimately, Shira hopes that one day equality and acceptance will be attainable for all. Being a patient with one in a million genetics, she understands that no person is the same, and this applies in the disability community as well. Not every illness affects everyone in the same fashion, and she believes that highlighting this issue will lead to overall better healthcare for all.